Wader Quest: Watch out for migrating Whimbrels! If you're in the East-Asian Australasian Flyway that is. Watch out for migrating Whimbrels! If you're in the East-Asian Australasian Flyway that is. KS was the first bird to depart Broome on 16 April. The last signal transmitted from Broome was on 16 April at 1am. 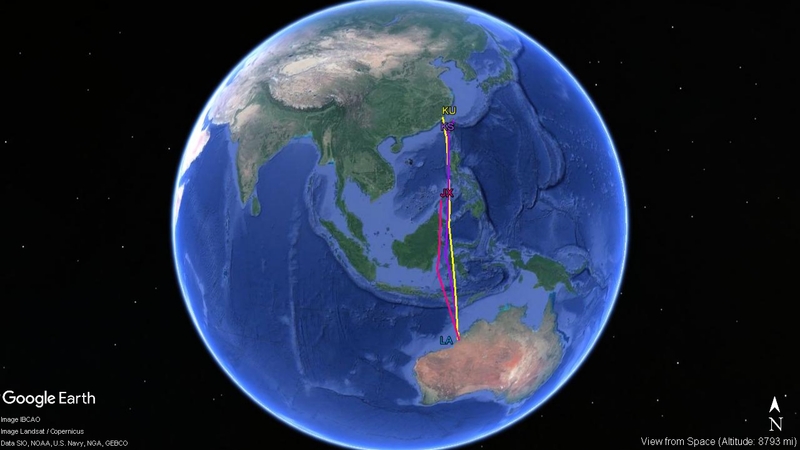 By the time the satellite transmitter switched on again to transmit data to the satellite on 18 April morning, KS has already flew nearly 2,000km to cross the equator. After 3 days, on 22 April, it decided to land on Xihcao wetland in Tainan County, Taiwan, a nature reserve set up for the protection of Black-faced Spoonbill and shorebirds. Habitats there include tidal mudflat, mangrove and saltpan. 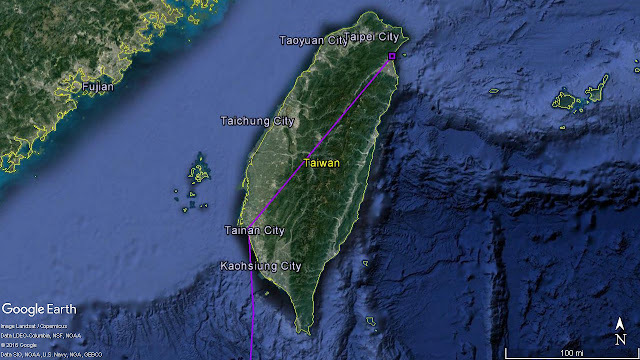 There has previously been a few resightings of NW Australia flagged Whimbrel in the west coast of Taiwan but not from this area. The real surprise comes 4 days later (26 April) when KS was resighted and photographed at the north-east coast of Taiwan in Yilan County, even before the satellite signals transmitted through to reveal its movement. 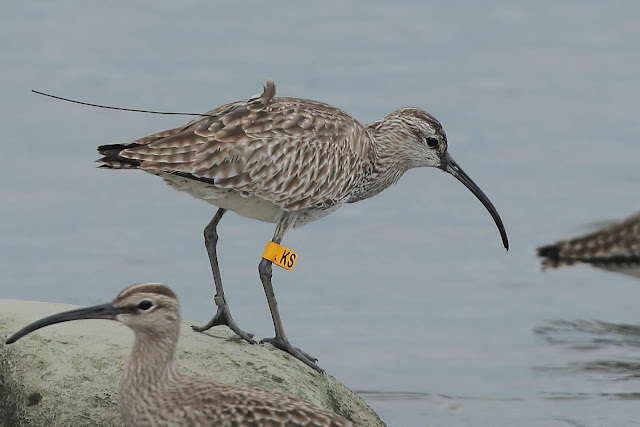 KS was observed foraging with a flock of seven other Whimbrels in one of the river channels in Xiapo wetland, which is a popular farmland area for waterbird watching among local birdwatchers. Excellent photos taken by Mr. LIN Jer An (above) show KS with its satellite transmitter intact on its back. In AWSG’s previous shorebird satellite tracking projects, we had faced problems with satellite transmitters ceasing to function when a bird was part way through migration. Knowing that both the bird and the transmitter are both in good condition two months after deployment and that they have made a long flight >4,500km is a REAL delight. 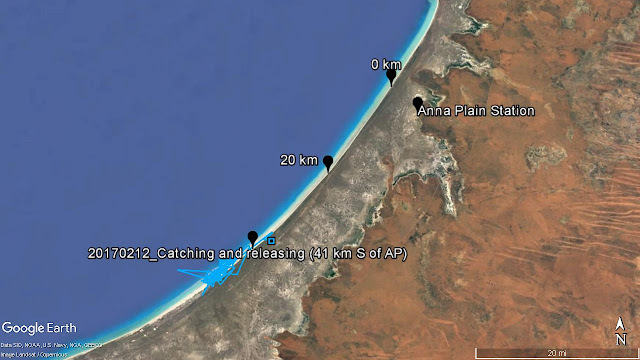 KU was not too far behind KS and departed Broome just a day later on 17 April afternoon. Within a four-hour period, KU has made a 200km flight with average speed of 50km per hour. 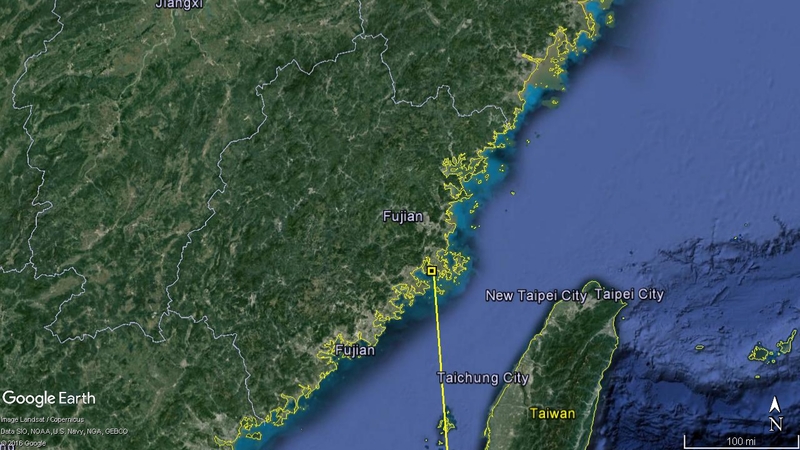 The long flight continued until 23 April when KU landed in coastal area in Xinghua Bay, Fujian Province, China, an extensive mudflat area with a peak count of 16,000 waterbirds (China Coastal Waterbird Census, 2007) whichis yet to receive any protection status. Fig 2. KU landing location in Xinghua Bay, Fujian Province, China. 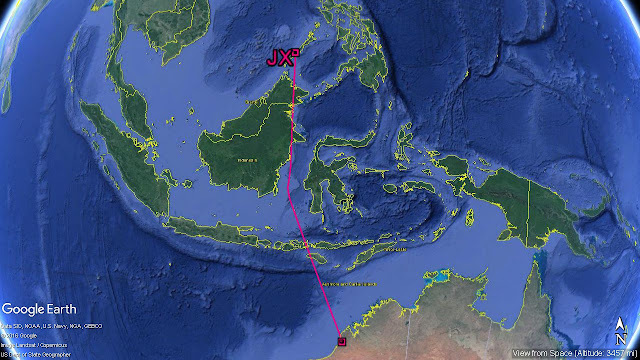 JX was our last bird to receive a satellite transmitter and is also the last bird to start migration, departing Broome on 20 April. In 4-day time, JX travelled over 3,000km with an average speed of 31km per hour and reached Malanut Bay in Palawan, the Philippines. Fig 3. JX migration to Palawan, the Philippines. Looks like KS, KU and JX will all stay for a while where they are for replenishing after their long flight, and will depart again for their next leg of migration hopefully in a few days time. 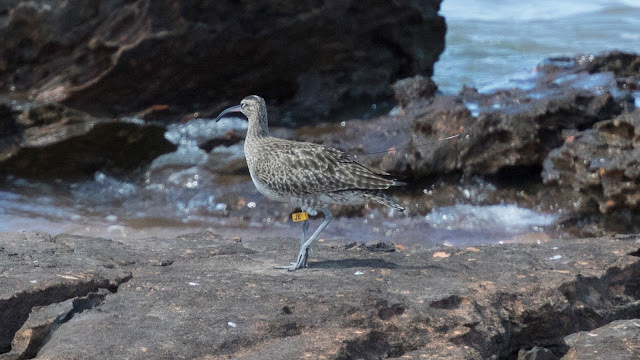 Last, but not least, LA, our 2-year old Whimbrel, is still around 40-50km south of the Anna Plain beach entrance at Eighty Mile Beach. Now, we are almost certain that it will stay in Australia in its second year of life. Fig 3. LA movement at 80 Mile Beach.